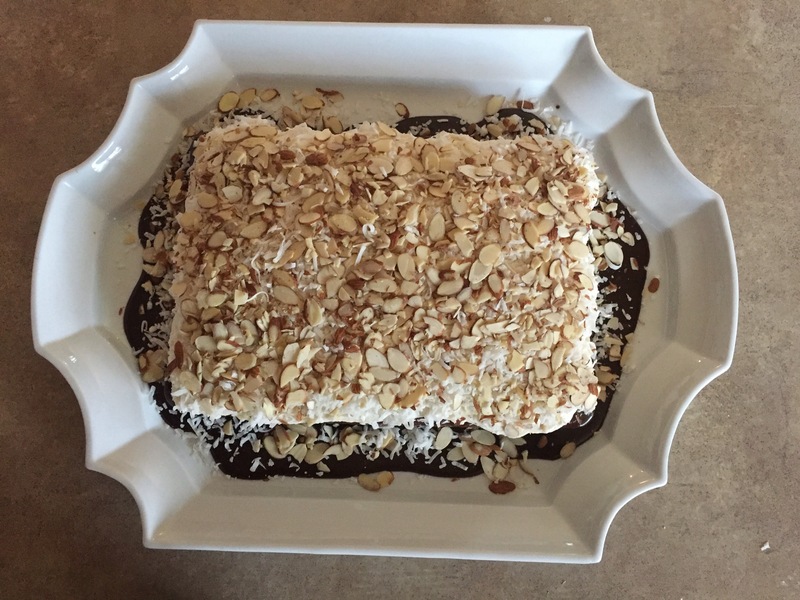 A fun cake to make! 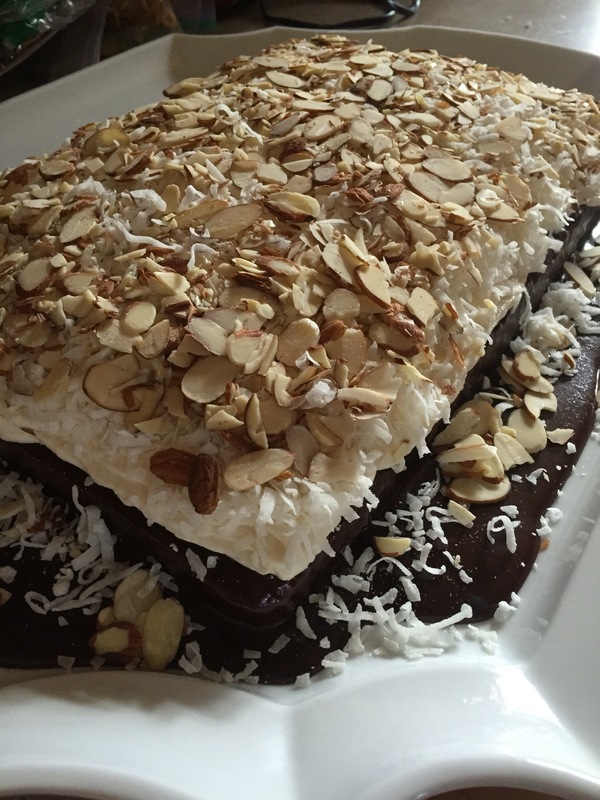 A vanilla cake with a homemade chocolate ganache, layer of frosting and coconut and almond! 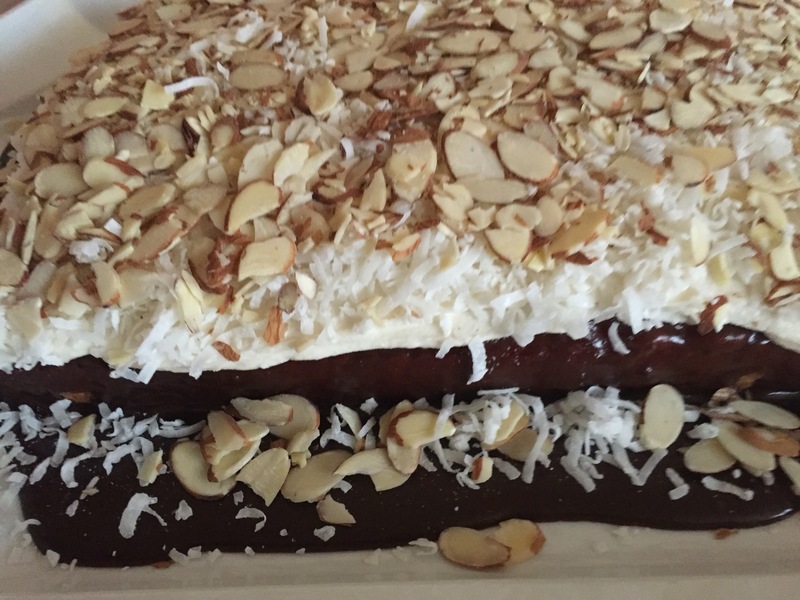 The rawness of the coconut and almonds gave it the chewy texture of “almond joys” however next time they will both be toasted!! !